Rated 5 out of 5 by GameMogg from My Christmas holiday treat - so worth it So glad HOG's have changed- definitely for the better! I stopped playing hidden object games for a couple of years because although I loved exploring and discovering elements, I got completely fed up of never ending, pointless, junk yard HOG scenes. I have no idea why anyone would want to spend hours staring at pictures of rubbish dumps. Wow, wow, wow! How things have improved! This game and Keys to Ravenhearst were both just brilliant. The HOGS were limited, short, imaginative, with interesting puzzles within them. I looked forward to finding them! The in-game puzzles were all do-able with a bit of thought and the super puzzles were awesome, but admittedly had to skip a couple of the parts within them, more because I wanted to find out what came next, rather than feel they were unsolvable. I will play both again to redo the super puzzles. The game was long, both Keys and Unlocked had extremely generous gameplay. The storyline is not something I care much for in any game, if I want a story, I'll read a novel, but I felt the story held the puzzles together well. Creepy factor - the asylum was deliciously uncomfortable and menacing, the medieval town, not at all. Art work was insanely detailed and rich. The puzzles beautiful. The talking animations not so much. I would skip them anyway after the first sentence and I didn't lose anything by doing so. I don't normally play with sound, but thought I'd give it a go with this one. They did add to the game, appropriate and non-intrusive. The only annoyance was with the talking scenes, but I would prefer everyone shut up and let me solve puzzles :). Overall I was delighted with my purchases. If you have been avoiding HOGs, give this game a go. Rated 5 out of 5 by shawnsgrammy from Exactly What I Love This game had all the factors I love. A few HOs but lots of puzzles. Some areas were a collection of puzzles that I thought were great. Don't understand why several others (Huntsville, Shadow Lake & Return to Ravenhearst) were so awful. 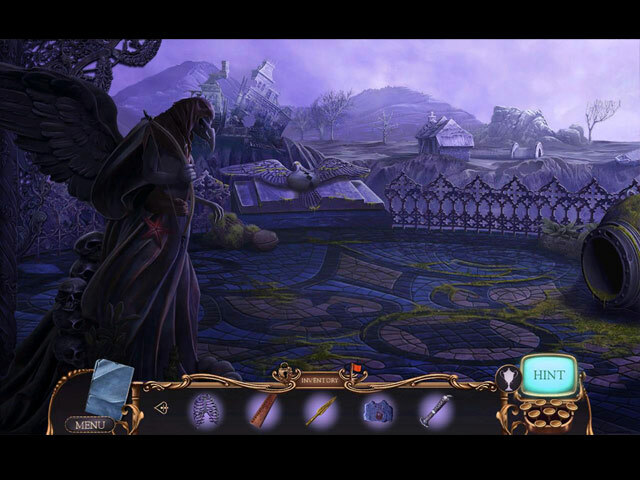 Rated 5 out of 5 by Jiskater from Very good game Ravenhearst Unlocked is probably the best game in its genre. Really enjoyed it. Good and untertaining mini-puzzles e.g. Early Ravenhearst games unplayable because they are shown in litte windows. The only reason why I didn't buy those. Rated 5 out of 5 by auntbets from Puzzle Lovers Unite! I never submit reviews, but having seen some lower starred reviews due to complex puzzles that slow down the story...well, I had to provide an alternative viewpoint. I am *loving* this incarnation of the MCF series. I *want* more complicated puzzles and this one has multilayered challenges everywhere; from hidden items and mini-challenges in the HO scenes to the fantastic "door" locks that have been so great in past MCFs. I also appreciate the variation in when inventory items are used: some immediately, some several scenes later. This is not just a routine HO game -- it has kept my interest and challenged me. More like this, please!! Rated 5 out of 5 by Aliana_4711 from Ravenhearst games are simply the best My star rating is based on completion of SE and my own requirements. I have played all Ravenhearst games, they are my favorites. - Difficulty can be customized: I prefer playing w/o helping texts, so I love it. You can chose tutorial, map issues, sparkles, glitter, contextual icon, plus item indicator, hint and skip recharge time. - Graphics: They were excellent. A little bit grim, but that’s the type of Ravenhearst. - Animation: Really good. - Music: Decent. Fitting background noises. - Tools: you do have an interactive map only. - Story: Continuation from the older games. 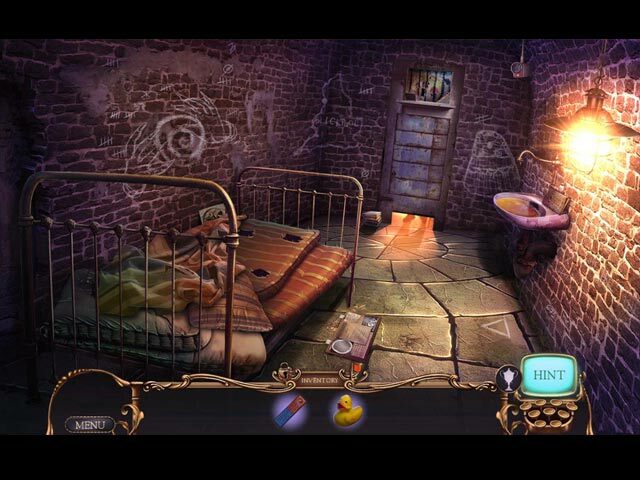 - Locations: At the beginning, you are in an asylum with 5 or 6 locations. After escaping, you’re heading to Ravenhearst w/o need for returning to the asylum. The locations opened step by step. Needed items are spread over several locations. There are a lot of nice special effects along the way. Nicely done. - HO’s: Mostly, you have to look for an item according to description. They were well done. - Mini games: Simply the best. I love these interactive puzzle-riddle-mini games. From my point of view, they are most challenging and interesting. - Challenge: The tasks were logical, so you can play w/o helping messages – just needing an eager eye. Usually you do not have too many items in your inventory, thus trial and error helps a lot. All in all, it is quite challenging. Difficulty increases during the game, except the end, that was easy. - Length: Is fine. I needed between 6 and 7 hours for completing the game. Rated 5 out of 5 by pennmom36 from A Maniacal Quest For Immortality After being deemed insane, sent to the Manchester Institute, and placed in the same cell that Alister Dalimar once called home, it's apparent that this situation is impossible for the sane to understand! Looks like you're going to be here a while, good thing there's plenty of books here to occupy the time, 1001 Straitjacket knots, Going Nuts 101 and Never lose an argument with yourself ( my personal favorite) Snap out of it! There's a real madman out there and his diabolical plan to become immortal must be thwarted, for good this time! Alister Dalimar has stood the test of time for ages, and his crazy granddaughter's Charlotte and Gwendolyn, are equally as disturbing, this bloodline must end before it's too late! It's time to unlock the secrets hidden behind the doors of the House That Love Built, the Key to Alister's soul must be broken for eternity. I still have one complaint with my favorite MCF game, well maybe two. I miss the fantastic Morphs that this series is known for, and the collectible Ravens in the last episode were so much better than collecting the 40 Lighthouses in this episode. (Collector's Edition only) At least they brought back Alister's Enigma with those progressively difficult puzzles to tinker with, and of course there are a ton of Plus sign inventory items to combine. 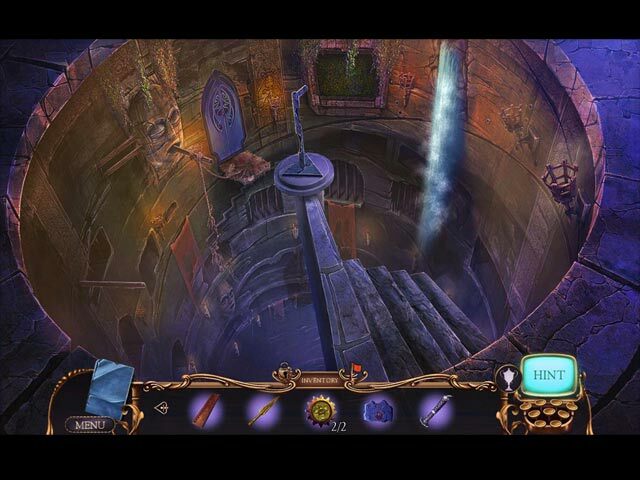 The Hidden Object Scenes are really entertaining, ranging from interactive list finds, to progressive silhouetted shapes where you find items that match the silhouetted shapes and then use the items within the scene, solving various puzzles and zoom zone mini HOP's. To put it lightly, they are fantastic. The Mini Games are the feature that makes MCF stand out from the other HOPA games, they are clever, fun, multi-layered and yes even far to complicated at times. The following is a list of brief descriptions of some of the games you will encounter: 1) Rotate 4 triangles to achieve the correct shapes shown. 2) Correctly arrange dolls according to their disorders. 3) Connect wires with matching symbols. 4) Move a token along every line without overlapping. 5) A Pac-Man type game where you move your choice of character to gather all pills without being caught. 6) Move tokens to their matching slots. 7) Enter the code on the keypad using a diagram. The Collector's Edition has 11 Achievements, 15 replayable Hidden Object Puzzles, 21 replayable Puzzles, 10 Movie Videos, 8 Concept Art photos, 8 Wallpapers, Behind the scenes, 7 Music Soundtracks, 40 Collectible Lighthouses, a Souvenir Room, a built in Strategy Guide and a Bonus Chapter, enjoy! Rated 5 out of 5 by riverdiver from Haute Cuisine! This review is based on the CE. You do not miss out on the story, the main game ends conclusively. I’m not a great CE fan, don’t really care for achievements and collectibles, but exceptions prove the rule. For me, a good game is like good food. I love food, enjoy cooking and eating out. And I like trying new dishes, new spices, new ingredients. MCF Key to Ravenhearst was a feast, something very special, you don’t have it every week, not even every month. 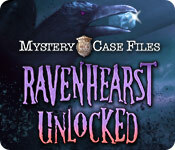 Yet, just a few weeks later another feast was served: MCF Ravenhearst Unlocked. This is slow food. I've played the game very at snail's pace, so I was able to enjoy this 7-course menu, to taste, appreciate and digest all the different ingredients, from the „amuse-bouche“, the captivating opening, on to the main and the intermediate courses to the dessert: Fantastic scenery and sound, the variations of HO’s, the varied mini games (some of them were new to my taste buds), the varied difficulty, the hilariously funny bits as the recipes in the apothecary or the book titles. Some tasks looked like they were going to be rather difficult, but they were easy but still very well seasoned. The super puzzles were an extra treat: Usually I don’t read the menu, well, the instructions for super puzzles, I want to find out on my own which ingredients are used or needed. But here, I admit, I had to, I got lost sometimes, but I enjoyed this a lot. The challenge exceeded my expectations, I haven’t tasted so much gaming fun with MCF Key to Ravenhearst and MCF Ravenhearst Unlocked for a long time. In addition to 5 stars I would like to award both games with four chef hats. Story could do one more, then it would be perfection for me. The games compliment each other, you can enjoy them on their own, the double bill is no must, but I recommend it highly. Bon appétit! Enjoy your game-meal! Rated 4 out of 5 by ninja226 from A cinematic HOS journey to defeat Dalimar I played this game without playing any of the previous Ravenhearst games. Pretty impressive HO adventure. It has cinematic animation, sound & visual effects. The storyline is well fleshed out with background stories about your nemesis strewn in each step of your journey. More puzzles (70%) than HOS. Most puzzles are pretty easy to solve, with only a few taking more effort than others, and not too frustrating. Most actions are intuitive. There is a lot of interaction with objects to progress. It's a long game, with a lot to do and see. I deducted one star because it has a dark, sinister, and ghoulish ambience, especially at the beginning. It gets less gloomy as the game progresses, but in general, I prefer light, cheerful and non-scary HO games. A well done game and a definite buy. Rated 4 out of 5 by Yanie1020 from Not Great, But Very Good The Mystery Case Files games (especially Ravenhearst) keep getting better. Lots of puzzles and just a few HOS's. I found this game to be quite challenging, especially the full-page puzzles, which are my favorites. I recommend this one!